This is a blogpost that's been in my head for the last 2 weeks but I've been reluctant to post about. In fact I've talked far less about going on holiday on social media this time than normal. And I'm still not sure if I should be talking about it. But I can't let a stupid burglar dictate my life so I'll share our Spanish holiday with you. My parents own a flat in Spain and we haven't been for 2 years so I'm looking forward to 2 weeks of beach and sun. I love hot weather but Spain in August is HOT! We're on the southern tip of Costa Blanca and at 7am in the morning, in the shade, it's normally close to 30C. That's HOT! Many people would think knitting in such temperatures is madness but I love knitting and I can't not knit for 2 weeks. What would I do? We don't go out a huge amount in the evenings. We quite like sitting on the balcony and relaxing. And that's perfect knitting time. When I used to have a normal relationship with knitting I was very much a seasonal knitter. I'd knit in the dark autumn and winter months in Norway but now I knit all the time. So what knitting am I taking to a beach holiday in Spain? We've only booked one 15kg suitcase between the 2 of us so I can't take anything big or bulky. I probably should take Simon's sweater which I started on a Spanish holiday 5 years ago but it's too big and it wouldn't take me more than a few days to finish it. Small items like socks and lace are perfect for travels. I'm definitely taking my rainbow socks. I'm still on the foot on the first sock so there's enough knitting there to keep me going for a couple of days. I've got another pair of socks nearing completion. It'll probably only take one evening to finish the second sock so I'll leave this one at home. I'm also working on a shawl in Schoppel 6 Karat which is beautiful to knit with. I'd hoped to finish this before we leave but I had to rip back 5 rows today so I've made zero progress on this today. By the time we leave I may only have about 20gr of knitting left so I'm thinking about leaving this at home. I'll probably finish it in a couple of days. I want to work on a shawl for my next book proposal and I'm desperate to knit something with Lotus Forest Dew. So I'm taking two balls and some beads. I haven't quite decided what to knit yet but I could do with getting something charted out tomorrow. I think I've decided on a shape. This will mainly be evening and early mornings on the balcony knitting. I love knitting on the beach. Sitting on the beach kind get kind of boring. You relax, you snooze, you read. I like people watching. And if I'm just sitting there in my sun lounger I may as well knit so I tend to knit socks. They're small and aren't going to be piling up in my lap while I work on it. And as long as I use washable sock yarn, if it does get sand and sun cream on it, I can always wash the socks when they're done. One of the beaches we go to is a very long beach and very popular with Spanish tourists. Many people like to walk up and down the beach between swims and on several occasions I've had groups of Spanish ladies stop and look at my knitting. They talk to me in Spanish. I only know a few words of Spanish so I normally try to explain through sign language that I'm knitting socks. I usually get a few laughs at that point. Yes knitting woolly socks in nearly 40C heat on a Spanish beach may seem like madness. I'm definitely taking this colourful Sirdar sock yarn. I haven't tried this yet so I'm looking forward to trying it. I'm wondering if 1 1/5 pairs of socks will be enough so I'll take 2 balls of Regia. I've got some pink yarn for me and some green/blue yarn for Simon. I think I'll end up taking the socks for me to knit on. That all sounds like it should be enough. I've got a project to work on in the evenings, 2 pairs of sock for beach knitting. But I feel like I should take more. I fancy making a 2 colour shawl, fairly simple but with a bit of lace. The kind that's perfect for car knitting, plane knitting, out and about knitting. Yes I do knit on planes. I've never had a problem taking needles through security. I don't tell them I'm carrying knitting but I have been searched with 2 and 3 knitting projects on circulars and metal double pointed needles without any issue. I do recommend using circular needles and what I do is use my interchangeable circulars. I put a spare pair of tips in my hand luggage, usually with my pens. So that if they don't like my needles, I can screw them off and leave the knitting on the cable and once I'm through security I'll screw on my spare tips. Also take spare needles in your hold luggage, just in case. I've been taking knitting on planes in Europe for 8 years now without any problems. Some people recommend taking a stamped addressed envelope so you can post the needles back to yourself. I'm never organised enough. Wooden needles are probably less likely to cause an issue than metal but I take my metal ChaiooGoos. So I've got 150 gr of Shilasdair cashmere blend which I love. But I also love this green/turqoise (the photo doesn't show the colour that well) WYSpinners combo. I love their sock yarn and I want to make a shawl in these two colours. So I can't decide which one of these two combos I should take? Shilasdair? WY Spinners? Or maybe I should take these 3 balls of Blacker Yarns Swan Falkland Island Wool instead? When this colour of Lotus Cashmere DK arrived I just loved the colour and knew I had to knit something but I've been so busy finishing the book I haven't had time. So I'm thinking I must take some of this. I'm not sure whether to make a one skein accessory. Maybe a cowl, worked in the round. That's be perfect for plane knitting too. Or a bigger 2 skein shawl? I haven't decided yet. So is that enough knitting for 2 weeks? I've only found one place that sells yarn near where we live and that's a big department store that seems to sell a small amount of acrylic so it's not like I can stock up while I'm there. 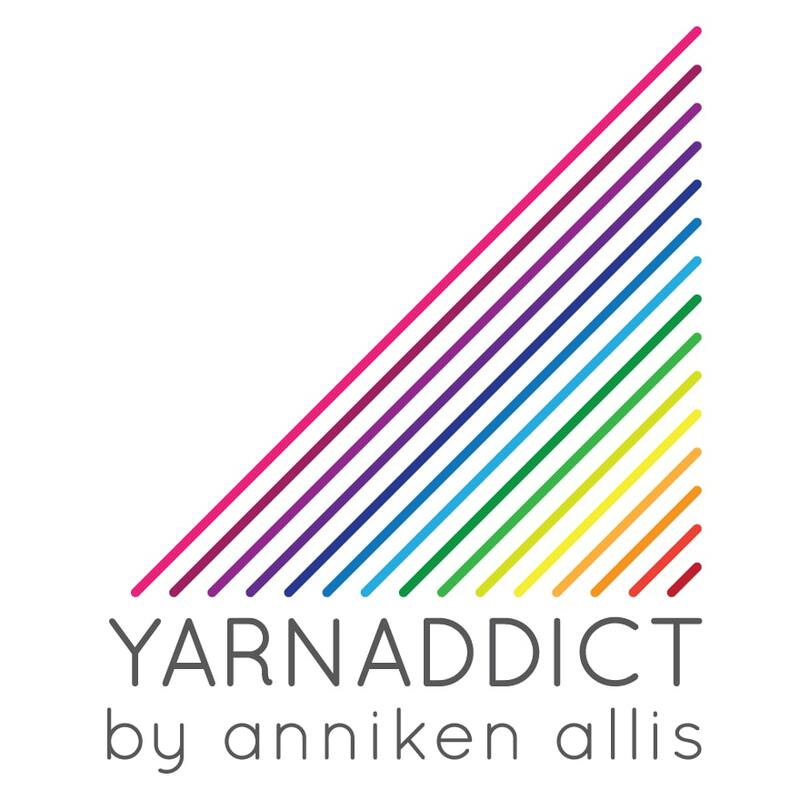 If anyone has any yarn store leads in Alicante or Murcia, do let me know. By the way, the shop will be closing around lunch time today. If you order anything this morning I'll post it today. While we're away you can still join the Little Luxuries Club as there are still a few spaces left so I'll leave it open till I get back. Don't forget to sign up for my two online classes running in September. There's an early booking discount if you sign up early. Not taken an online class before? Give it a try! You can work at your own pace, in your own time and you keep access to the classes indefinitely. So if you get behind you can go back and view the lessons again. You don't have to be a tech wizz to do it either. Basic computer skills are all you need and the classes work on gadgets like Ipads and Nexus 7 and other tablets.